Christmas is a time for celebration and spending time with our loved ones, but what is it that causes us to consume and waste so much? Every year around Christmas Australian’s buy, eat, travel and waste more than any other time of the year. Research from the Commonwealth Bank claims Australians spend over $16.2 billion at Christmas – that’s $993 for each adult! And half of these presents are unwanted. The good news is that we don’t have to waste this much at Christmas, nor do we have to be such a burden on the environment. 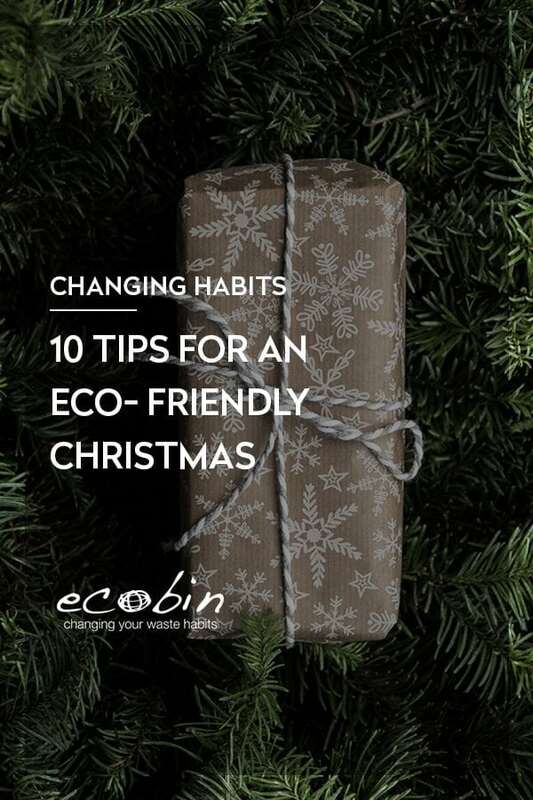 Here are our 10 tips for you to enjoy an eco-friendly Christmas this year. Less is more when it comes to buying this Christmas. While gifts are thoughtful, they don’t have to break the bank, or the environment. Why not organise a Secret Santa for your family and only buy one person a gift? Put the names of all family members on slips of paper and put the slips in a hat. Take turns picking one name per person – the name you pick is your gift recipient. Now that you only have to buy for one person, you’ll likely spend more time and effort into finding an ideal gift that’s also eco-friendly. While plastic Christmas trees are reusable, real trees are more sustainable. Reused plastic trees are often sent to landfill, where their plastic lasts forever and has a negative impact on the planet. Real trees are a renewable resource and they are usually locally grown and boost the air quality in your home. Buying your Christmas cards from the store is expensive, and takes up a huge amount of natural resources for something that usually gets tossed a month later. Making your own cards is a fun activity for the family and you can even use last years cards that you received. If you have children, you can turn it in to an activity and use your kid’s artwork as your cards. Digital or e-cards are also a good way to save on money and materials. In this digital age, there is probably a higher chance that your friends, colleagues and family will read it, rather than sending it in the mail. One of the biggest sources of waste each Christmas is wrapping paper, with more than 8,000 tonnes being used each year – the equivalent of approximately 50,000 trees! Some alternatives to wrapping paper are to switch to reusable gift boxes for presents, newspaper for an artistic look, the Japanese method of Furoshiki (fabric wrapping) or environmentally friendly wrapping paper. Avoid buying metallic or glossy wrapping paper, as this kind of material is difficult to recycle and hard to reuse. Throughout the year, consider keeping the wrapping paper from presents that are given to you and your family to reuse it at Christmas. Large wrapped presents usually have enough wrapping paper to wrap 2 or 3 smaller gifts. This is a big one, especially at Christmas time. Some of us have a bad habit of stocking up for the holidays, only to realise that a month after Christmas, our pantry’s and fridges are still full! Think about what you really need for the holidays and how many people you will be feeding. You can then create a menu and shopping list to buy exactly what you need for the day, and avoid wasting food, which once it reaches landfill will further compound damaging methane production. 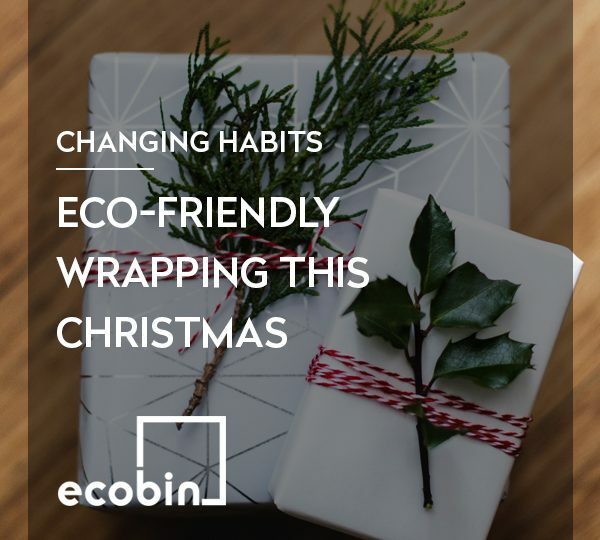 Christmas is all about spending time with your family and loved ones, so why not create an annual earth-friendly tradition? Christmas in Australia means warm weather and blue skies, which is perfect for a family outing to the beach, or a morning hike out in nature. It will get you out of the house for a bit, which will mean less electricity and more family bonding time! This is one of the most important things to remember over the holidays, considering how much extra material there is that could mistakenly be sent to landfill. With all the added paper, plastic & glass bottles that may accumulate over the Christmas period, ensure that you have a good recycling system in place and that everyone knows about it. Create labels for your recycling bins so that your family and friends know exactly what materials to put in what bins. It may take extra time to separate waste but we must do our best to keep changing our habits, and serve as an example to friends and family, you never know who might inspire to follow suit. The cost of electricity goes far beyond our monthly bill, it also drains our natural resources and should be used sparingly. If you have Christmas lights on your house or Christmas tree, consider reducing the amount that you have, or using a more energy efficient alternative. Solar LED lights are fantastic, affordable and readily available! LED lights use 95% less energy and costs less to run. Over a 30-day period, lighting 500 traditional holiday lights will cost you about $18.00 while the same number of LED lights costs only $0.19 – or look for solar lights and you won’t spend a cent more. Hopefully, once you’ve implemented all the above tips you won’t have a lot of waste to think about! But once the holidays are over, make a conscious effort to store away what you can so that you can reuse it next year. Things like wrapping paper, decorations and Christmas lights can be stored away and used year after year. The initial purchase might be cheap, so it can be tempting to just buy fresh ones next time, but it’s that consumer behaviour that’s fuelling the environmental challenges we have today. 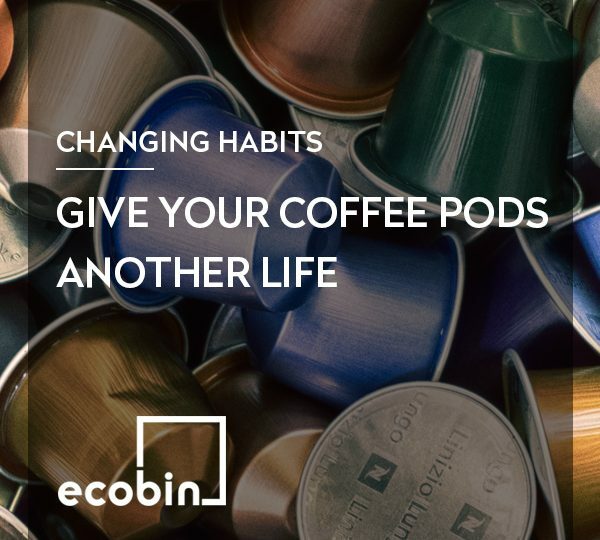 Hopefully some of these Eco-friendly tips will help you reduce the impact that you have on the environment. If you have any other helpful tips, let us know!